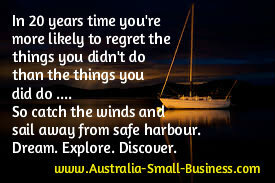 Are you thinking of setting up an online business? …. There are increasing numbers of people who are recognising the tremendous opportunity that the digital world offers to start up a business from home, without incurring the traditionally high costs of leasing and advertising. If it succeeds, then running your own business offers great benefits, in terms of freedom and self-independence – as well as doing something that you actually enjoy. .So here are nine points you will need to think about …. 1. Is there a niche for your online business? Evaluate the market you are considering entering, and assess whether there may be a niche opportunity, in other words a gap between a customer need (which may be uncommon) and a lack of specialist providers. Have realistic expectations of the business performance, it’s unlikely that you will be generating many sales for some time, because it will take a while before you establish your online profile. Develop a website for your online business. Do not go for a page on some affiliate site, but instead create your own website that you control. It is easier to do than you might imagine. Select a hosting service (there are plenty of companies on the web today offering their services). Then get yourself a website template system – for example one of the most popular software for this is WordPress which you can download free. Or many hosting services offer free templates and website building capabilities. However, if you are not inclined to building your own website then you can outsource this – but make sure you get several quotes because fees can vary considerably An important thing here is that if you decide to have your website built by someone else that you ensure you will be able to easily make changes yo your website in the future yourself. For example being able to upload new products or make revisions to the prices …… You definitely do not want to have to go through the website builder and have to pay them in future every time you need to upload new information online to the website. 5. You will need a secure host service provider. Reliability is important, so ensure you examine the “uptime guarantee” that your service provider offers. And also enquire about the hosting providers “Back Up” and “Data Security” systems. This includes calculating how much time would be required to reinstall your online business if there was a complete infrastructure failure on the part of the hosting provider. 6. Build your customer list. This is important so that you are can regularly communicate with visitors to your site. This will enables you to contact them regarding whatever special offer(s) you wish to promote to them. Carefully consider the ways in which you will handle the payments made by your customers. If you are selling an affiliate product, then this will not be a problem as the affiliate program will handle the payments for you. However, if you are selling your own product, then you will have to set up your own payment processing system – be it a PayPal or credit card facility. Look at the ways in which you will arrange for goods to be delivered to your customer, if you are selling your own products. You must look at local courier companies, as well as the postal service and find out which will be more cost effective for sending goods to customers. Also, you will need to have established the pricing system for sending packages to your customer’s. Most important is that you select a transport service who you know will be reliable – preferably a company who offers an online tracking system, so you can monitor status of delivery. As a guide, it can take up to 3 or 4 months before your website will gain any real traction in search engine organic results (ie. the free listings) – so you will probably need to plan a Google adwords campaign and initially pay to be found in search engine results. for your nominated keywords (ie. the words your target group enter as search terms to find your product). But don’t worry too much – you can plan a reasonable advertising campaign with “Google adwords” with a budget of as little as $50 per week. Although Google accounts for the vast majority of online searches, don’t forget to list your website with other search engines such as Yahoo and Bing. If you do not find a way to appear on the first page of Google, you will probably not be found by your online target market – this is the harsh reality. So, if you are going to set up a successful online business then you will need to learn about internet marketing and search engine optimisation, in order to compete effectively against other online players. Also, take a look at SEO tips for small business – an essential read for understanding what you need to do to get your website ranking well.